If your FJ40 needs rewiring you probably know that most of the original wiring harnesses are no longer available from Toyota. 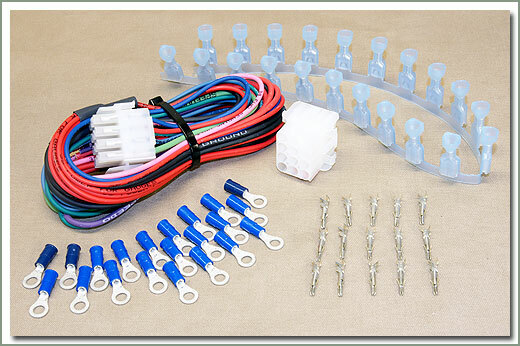 Specter now offers a high quality replacement wiring kit for your vehicle. 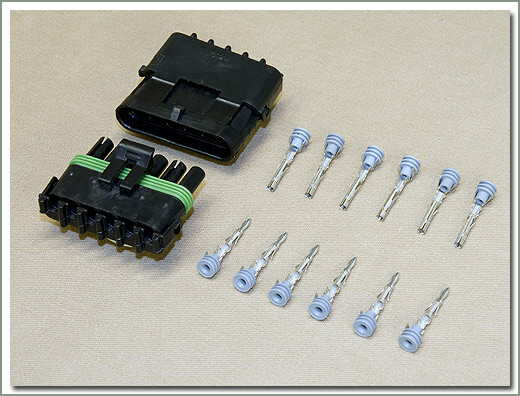 This kit includes a pre-terminated fuse block that uses late model bayonet style fuses, that is already connected to the 14 separate circuits. 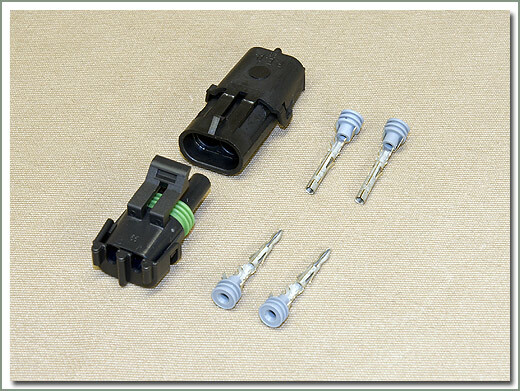 This is not specifically designed for a Cruiser it is a universal type kit is not a direct replacement for the original Toyota wiring and fuse block. This is a restoration quality kit, similar to components used in the Hot Rod Industry. This kit is a perfect addition for those custom vehicles with engine conversions and modifications. Each circuit wire is color coded and labeled over its entire length, for quick identification and for easy troubleshooting later on. 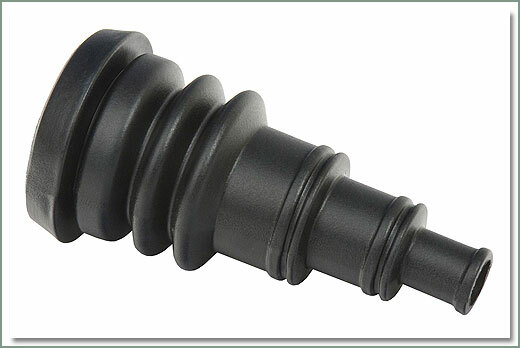 This kit meets or exceeds the OEM equipment standards. 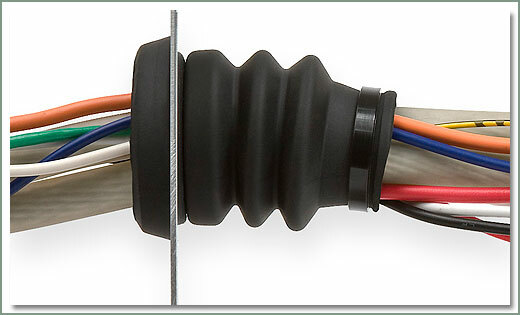 Each kit comes complete with all the necessary fuses, flashers, horn relay, terminal ends, wire ties and a selection of grommets for easy installation. Each kit comes with a comprehensive step by step instruction booklet for the harness. 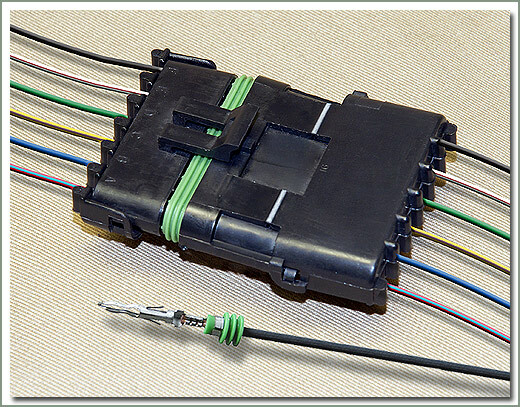 Purchase separately the Toyota OEM wiring diagram for your year chassis, see 223-11. 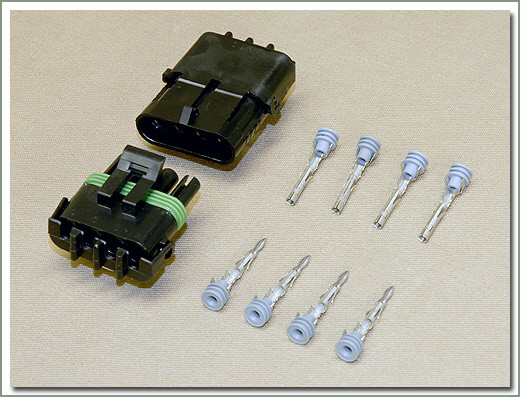 Fits 1963 to 1974 40 Series - Comes with all the necessary fuses, flashers, horn relay, terminal ends, wire, wire ties, pre-terminated fuse block, and grommets - This kit is NOT a direct replacement for the original Toyota wiring and fuse block - This kit can also be used on 1975-1987 V8 conversion vehicles and those with no smog equipment. 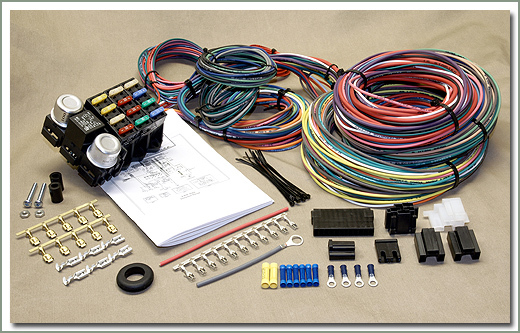 For completely custom dash layouts using aftermarket gauges, Specter now offers Universal Gauge Wiring Harness. Kit comes with detailed installation instructions and an assortment of terminals. 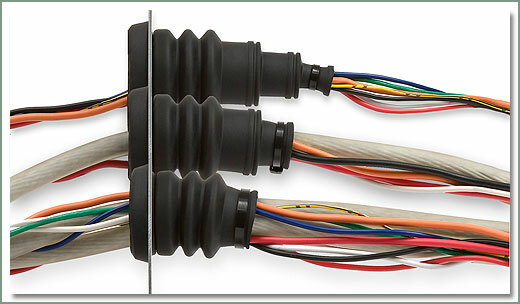 Universal Gauge Wiring Harness-Comes with wire, and terminals. 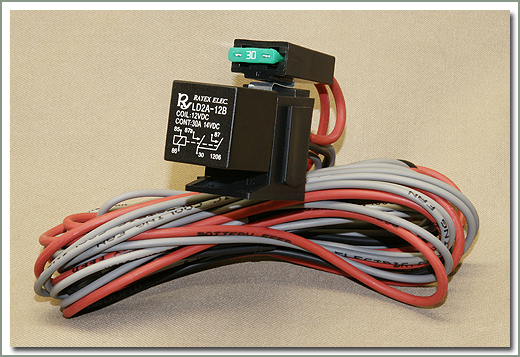 Single Circuit Relay Harness suitable for electric fuel pump, cooling fan, lighting ect. Pre-Wired 30 AMP relay with 8 feet of wire harness with printed descriptions on each wire. 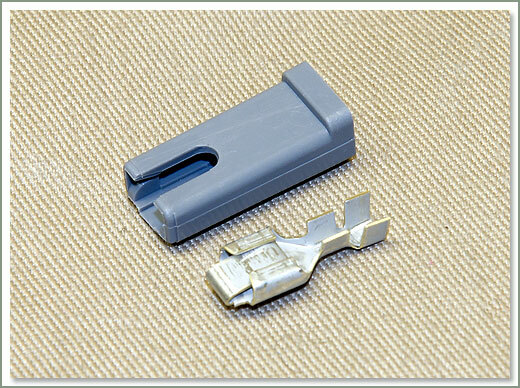 Full size ATO 30 AMP fuse.